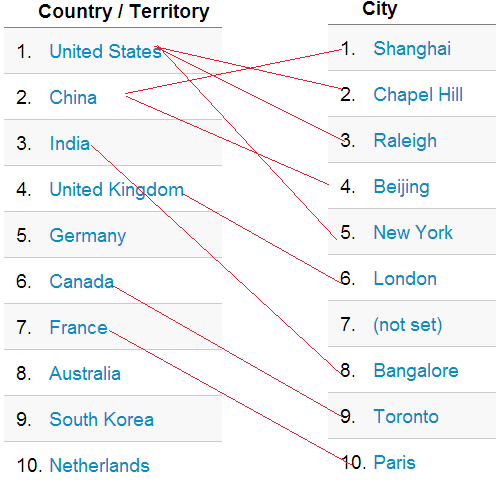 Most of my readers come from US and I’m glad my Chinese fellows still fork me since I moved to US this year (today is my one year anniversary in US). 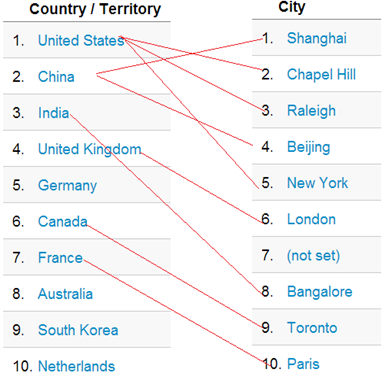 To my surprising there are much more readers from South Korea than from Japan(#12) and Singapore(#22). Readers from a secret city (#7) are watching me! I’m happy that people navigating through Facebook also click this technical blog! 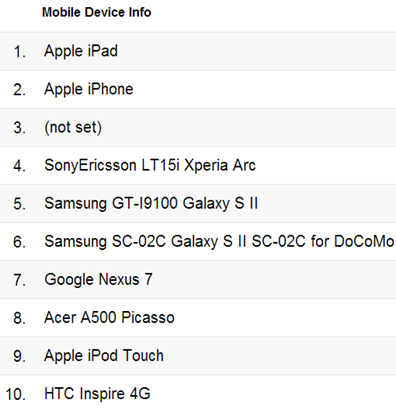 I think myself contributed a lot via Google Nexus 7 (#7) visiting my own blog (one upon a time in 2012, I had two new released Nexus 7 tablets at hand until one dropped down and another sold out…). Thank you my fellow readers and happy new year (if you like to have another break, follow me to celebrate Chinese new year at Feb 10, 2013 )!